Social media has become one of the most powerful tools a marketer can have when creating a strategic plan for success. It is one of the fastest changing industries and a single change can make the biggest difference. We’ve got you covered on why creating content for your readers or consumers is so important to keep them engaged. Now we’re going to push it a bit further and spill the beans on 5 big social media trends for the current year of 2017. Looking back at the past two years and how the digital world has evolved, it’s pretty easy to see that some social media trends are already exploding this year. 1. Live video will grow considerably, and 43% of marketers plan to use it this year. You can do live videos on Facebook Live, Youtube, Periscope, Instagram and Twitter. Marketers should experiment on different platforms to see which perform better among their audience and then decide on which platform(s) to go live! Social videos have more engagement than any other type of digital content and even news websites are relying on live videos when reporting major news and events. Millennials love video content way more than reading blog posts, and the number of active viewers is only growing in 2017. 2. E-commerce is killing it on social media as an avenue for sales, since now you can purchase products directly from some apps. 56% of consumers say they follow brands on social media and use it to look for items to purchase. If you have an online shop or brand, make use of the huge audience you can reach on social media and the new tools many apps are coming up with to help you sell faster. 3. Mobile advertising will become even more competitive. With more brands investing on mobile advertising, social media will become a much more competitive avenue than it already is. Facebook’s where most brands advertise more, giving the company more than $7 billion in 2016, 80% coming from mobile ads. Twitter’s ad revenue is on the rise and Instagram and Snapchat will share a lot of competition this year. Snapchat made it easier to buy ad space, video ads and sponsored filters, although it’s losing many viewers to Instagram; Instagram is relying on its new feature Shoppable Instagram. 4. More brands are shifting from Snapchat to Instagram. Since introducing its “stories”, in August 2016, Instagram has managed to reach 600 millions of daily active viewers. It has become a much more solid app, where you almost have 3 apps in just one, stealing a lot of attention from Snapchat with 150 million users. Also, Instagram belongs to Facebook, which gives both of them the largest audiences and makes Instagram a great place to advertise. 5. Make use of social networking apps like Whatsapp, Messenger and Viber (depending when where your customers are geographically). It’s a big way to connect with your customers and to offer 24/7 customer support. There are around 2 billion monthly active users on the top four social network apps and companies and relying each more on those to create meaningful relationships with their prospects. Out of the 7.395 billion people that live in this planet, 2.307 billion are active social media users (data from 2016). That makes it a huge audience for you to reach out to and not only connect but sell. Building a large and loyal audience on social media is the best way to improve your online sales and brand recognition. 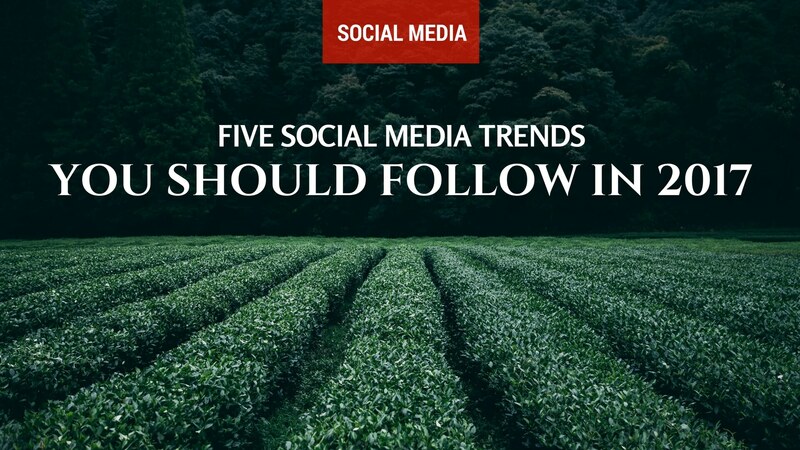 And paying attention to social media trends every year helps you keep up to date on your strategy and how to better optimize your communication. Like said in the beggining, social media is constantly changing and you should always be prepared for anything. It all comes down to creating high quality content and knowing your audience (see how you can idealize your ideal customer here), and stay up to date with the digital media world. Use social media apps to deliver what is expected from you – or even more – and to leverage insights from your customers to create a better unique selling proposition.